This week, members of Congress heard testimony for the first time from victims of drone attacks, including that of 13-year-old Zubair Rehman, from Pakistan, who spoke of a strike last year that killed his grandmother and wounded him and his little sister. “I no longer love blue skies. In fact, I now prefer grey skies. The drones do not fly when the skies are grey… When the sky brightens, drones return and we live in fear,” Rehman told the five members of Congress who showed up for the testimony. The use of drones has intensified under President Obama’s leadership as the number of troops on the ground in Afghanistan and the Pakistani tribal areas has been scaled back. But the drones often kill innocent civilians, including children. 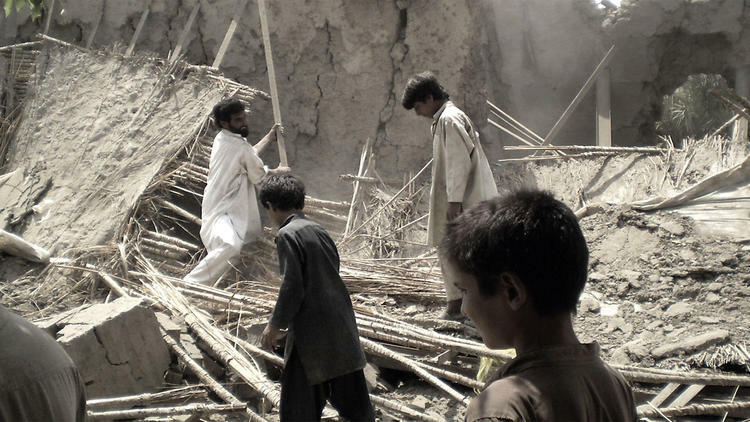 That is the subject of Robert Greenwald’s new documentary, Unmanned: America’s Drone Wars. Here, we look at clips from the film, which shares testimony, stories and alarming news on the fatal impact of our drone strategy.